This tree, located along the Atlantic-Yadkin Greenway in Bur-Mill Park in Greensboro, North Carolina, always provides a bit of comic relief on my weekly long runs. 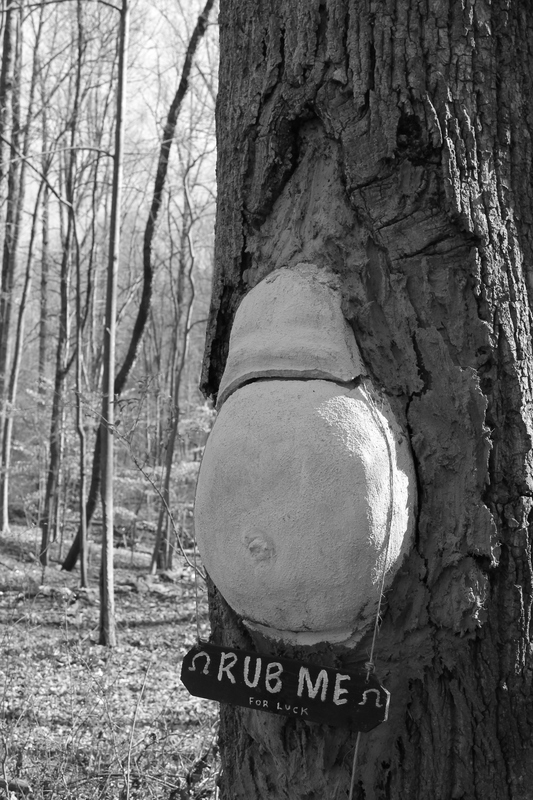 The work of a creative tree surgeon, the belly is nearly irresistible to passers-by who regularly stop to give the prodigious plaster belly a good-luck rub. This entry was posted in original art and tagged Atlantic & Yadkin Greenway, belly, Bur-Mil Park, Greensboro, North Carolina, photo, photos, tree, trees. Bookmark the permalink. © Mark Caskie and lineofcedars.wordpress.com, 2011-2017. Unauthorized use and/or duplication of this material without express and written permission from this blog’s author and/or owner is strictly prohibited. Excerpts and links may be used, provided that full and clear credit is given to Mark Caskie and lineofcedars.wordpress.com, 2011-2017 with appropriate and specific direction to the original content.